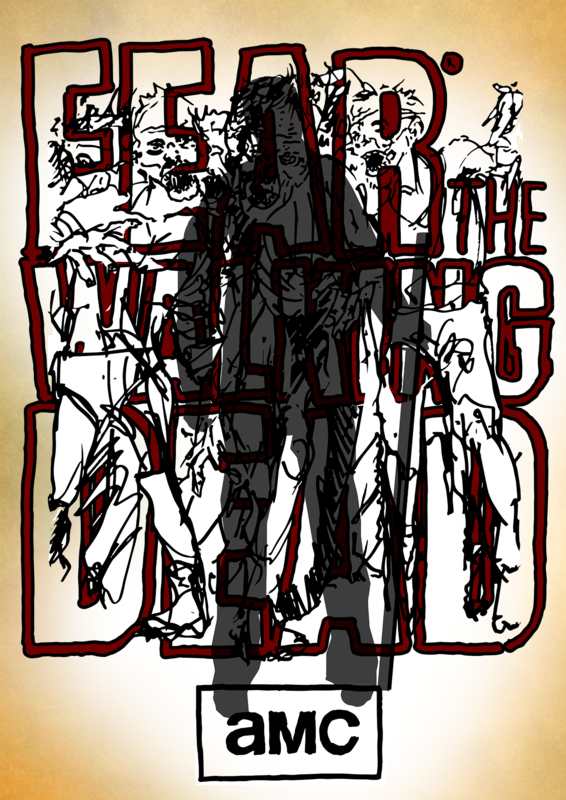 Walkers were drawn on paper and later vectorized. Letterings were handwritten and then vectorized. Morgan's silhouette was drawn digitally on photoshop and illustrator. Background is also digital and was painted on photoshop.